After recovering from polio as a child, and studying ballet, Charisse entered films in the 1940s. 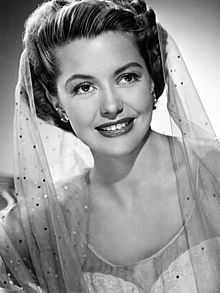 Her roles usually focused on her abilities as a dancer, and she was paired with Fred Astaire and Gene Kelly ; her films include Singin in the Rain (1952), The Band Wagon (1953) and Silk Stockings (1957). She stopped dancing in films in the late 1950s, but continued acting in film and television, and in 1992 made her Broadway debut.